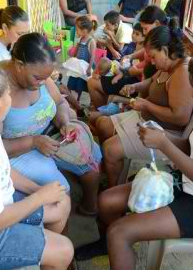 With the help of former UNH student and Compas intern, Sarah McGraw, Women in Action have been taught the art of crocheting. 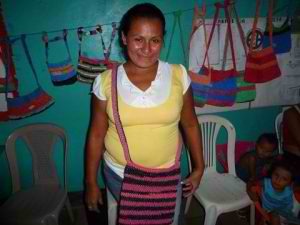 In the Summer of 2010, Sarah taught the women how to crochet handbags from recycled, plastic bags. 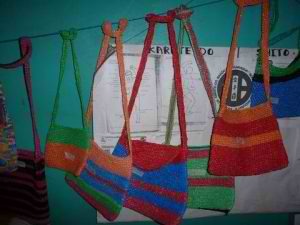 The women are now creating beautifully woven bags from what was once trash in their neighborhood. This has been a great economic opportunity and a functional way to clean up the neighborhood.